← How Many Keywords Do I Need in My Company Blog Posts? Tell us if this has ever happened to you: You write a new blog post and are really proud of it, so you share the link as a status update on LinkedIn. You’re hopeful that people will see it, click through, and behold your thought leadership. But then, after a couple of weeks, your link has been buried under more recent status updates; on LinkedIn, unlike on Facebook, older posts disappear rather than remain visible, so your status updates may make little impact, if any at all. That’s clearly no way to build LinkedIn visibility, authority, or thought leadership—but what can you do instead? Publish with Pulse. LinkedIn differs from Facebook in many ways—and not just in what we’ve already said, that older status updates eventually evaporate rather than remain archived. LinkedIn has also distinguished itself as a true publishing platform, not just a social network; if you want to post something that will make a high impact, skip the “Share an update” link in favor of “Publish a post,” which will take you to LinkedIn’s “Pulse” blogging platform. These posts will have permanent links and prove much less ephemeral. Join some groups—and participate. Fun fact: If you engage with LinkedIn groups, you’ll get, on average, four times as many profile views as those who do not. Optimize your profile. Even if you’re not looking for a new job per se, a profile update can empower you to connect with other professionals and gain the status of a true industry leader. Get a professional headshot. There is no reason to use anything less than a decent-quality, professional-grade photo as your LinkedIn profile picture. Make yourself available. 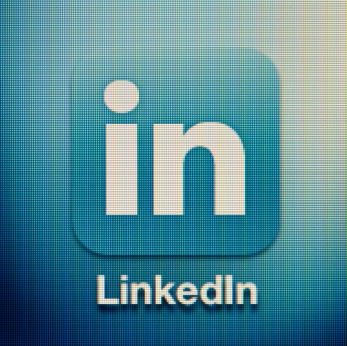 Ensure that your privacy settings allow for others to contact you through LinkedIn. To optimize your LinkedIn presence may require the help of a professional ghostblogger, or else a resume expert; at Grammar Chic, we can offer both. Contact us today at www.grammarchic.net or 803-831-7444.